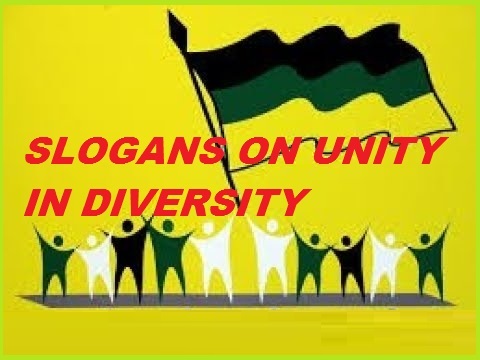 SLOGANS ON UNITY IN DIVERSITY:- Unity in Diversity is a well-said fact which indicates the well-matched co-operation between people of different groups living in a single society. Unity in diversity itself is a slogan which describes the sense of oneness among people in spite of their physical or psychological barriers. Indians are the true image of this common phrase because of their oneness despite a wide variety of fields like sports, food habits, languages, customs, and traditions, etc. Unity in diversity is the strength for a country it exists. Diversity is the key to happiness in society. India is a well-known country for ‘unity in diversity’. 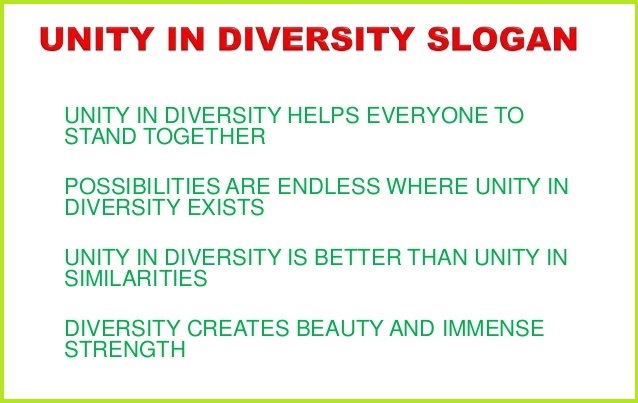 Unity in diversity promotes brotherhood, peace, and harmony. Unity in diversity creates the sense of oneness among people of differences. 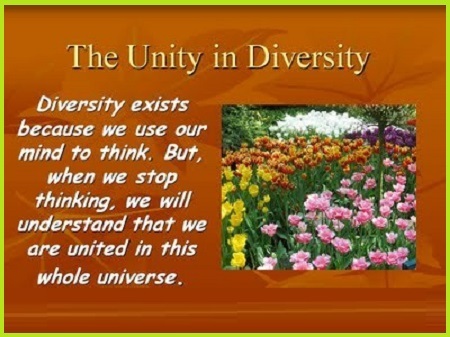 Unity in diversity is like different flowers in one tree. Through unity, we can win the world.